Step 1. 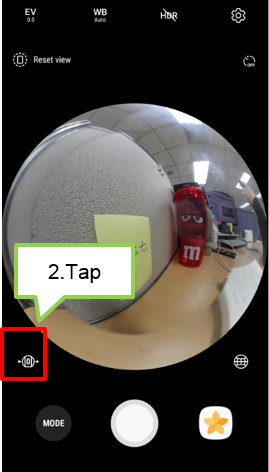 After launching the Samsung Gear 360 app or Gear 360 app on your mobile device, tap Camera. The viewfinder will appear. Step 2. 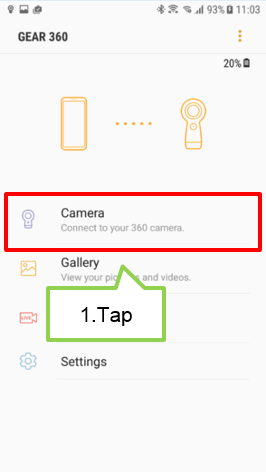 Tap camera switch icon and select a camera. • Single lens front : In single lens mode, use the front camera to capture 180-degree videos or photos. • Single lens rear : In single lens mode, use the rear camera to capture 180-degree videos or photos.